You'll love gardening in FOXGLOVES® original gardening gloves. Made of a durable nylon/lycra blend, these gloves are soft and form-fitting, yet tough and resilient. Hands and nails stay clean and protected. Added length protects wrists from scratches. 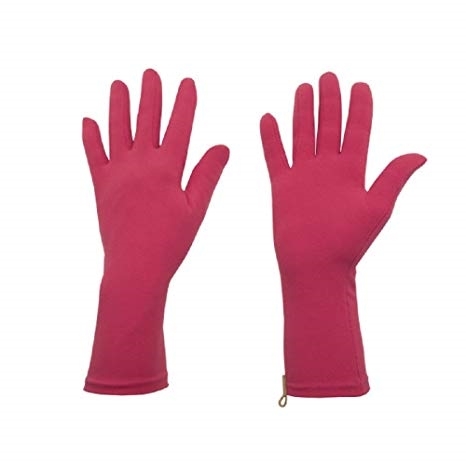 And if gardening isn't your hobby, the classic style and color makes these gloves the perfect cool weather accessory. Machine wash, dry low heat or line dry.